Trimble introduced several new geospatial products at its annual Trimble Dimensions user conference, which took place Nov. 5-7 in Las Vegas. Forensics GNSS Solution. The Trimble Forensics GNSS solution combines the Trimble T10 tablet or TDC100 handheld with the Trimble Forensics Capture software and the Trimble R4sLE GNSS receiver. Forensics Capture field software, designed with the help of law enforcement, uses industry terminology and Wizard-based workflows, making it easy to learn and easy to use. Built-in ground scaling and local coordinate system for every scene so there is no need for site calibrations. Integrated surveying workflows for GNSS, Trimble SX10 or total stations. Storage for all collected data within the same Capture file, including GNSS, total stations or the SX10. 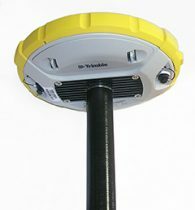 An IP-67 rated Trimble R4sLE receiver, which is protected from dust and capable of withstanding water immersion up to a 1 meter for 30 minutes. The new solution is expected to available in December 2018. New version of Business Center. Version 5.0 of Trimble Business Center merges two products, Trimble Business Center and Business Center – HCE, to provide both surveying and civil construction customers with a complete office software solution. Combining both products into one platform provides a larger set of tools and data interoperability between survey and construction workflows. 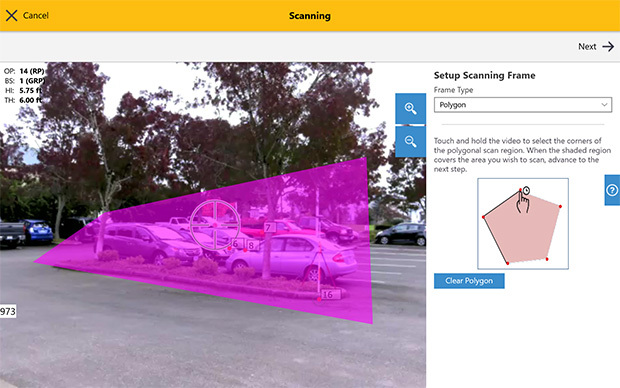 Support for mobile mapping and terrestrial scanning data from systems such as the Trimble MX9 mobile mapping system and the Trimble TX series terrestrial scanners. Ability to combine high-quality flight data from Delair unmanned aerial systems (UAS) with other sensor data for the rapid creation of vivid orthomosaics and highly accurate surface models. Survey and construction professionals can now integrate these multi-sensor data types within the single software environment. Intelligent new tools for the creation of computer-aided design (CAD) and geographic information system (GIS) deliverables, corridor inspection reports and tunnel as-built analysis from complex 3D point clouds. The addition of automated feature extraction, powered by Trimble eCognition software, to dramatically reduce the time to extract features, such as trees, poles and signs, from point cloud data. New multi-slice capabilities, combined with cutting plane workflows, which allow users to quickly extract cross sections from point clouds at intervals along a linear geometry, further streamlining corridor redesign and maintenance reporting. 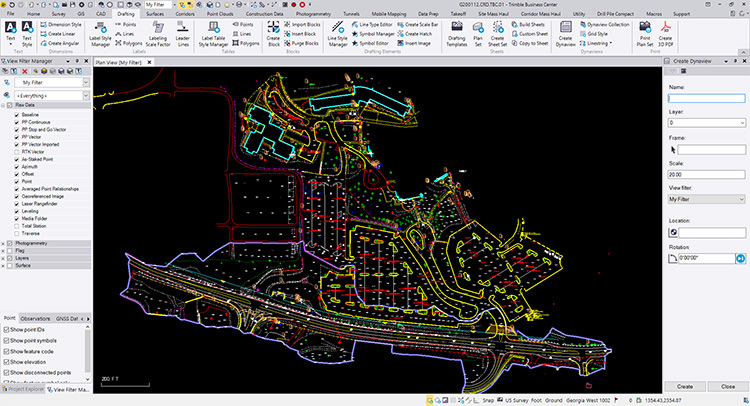 Trimble Macro Language (TML), which allows survey and construction professionals to customize data computations and add new CAD and GIS workflows to fit specific local requirements. New Versions of eCognition Software. Trimble’s eCognition is a software platform for advanced geospatial image analysis for environmental, agriculture, forestry and infrastructure applications.The software extracts accurate geo-information from remote sensing data; eCognition’s intelligent information extraction capabilities accelerate mapping, change detection and object recognition by delivering standardized and reproducible image analysis results. eCognition Suite 9.4 — An improved data management and visualization user interface, algorithms for common feature extraction operations and enhanced 3D data visualization to streamline the development workflow for automatic extraction of valuable information from images and point cloud data. The new capabilities increase the productivity of remote sensing specialists, GIS experts, cartographers, photogrammetrists and geospatial professionals. eCognition Oil Palm Application 1.3 — A specific solution that provides oil palm plantation managers with valuable information from UAS data that enables them to efficiently manage the plantation. Version 1.3 introduces extended functionality to identify gaps within the plantation to maximize productivity and to enable more sustainable management.